Every time I see an auto brand giving away an iPad or a telecom company sponsoring a pizza contest, I shake my head. Nearly ever business, big and small, want to find their way into sports sponsorship. A way to reach the coveted demographic of sports fans, whose emotional tie to their teams render partnerships that much more valuable, as well. But the best sports sponsorship truly bring forth the brand and what it’s all about. If a fan walks away not knowing what your brand does or a business captures a bunch of leads that will never have interesting in becoming customers, the partnership is leaving a lot of latent value on the table. Name recall can be a strong thing, but the paradigm we should preach should be for activations that clearly show off the product/service and/or the bigger meaning of the brand of the partner. With that in mind, here are four examples of sports-related sponsorships that have #NailedIt. This activation hits all the right notes in so many ways. It provides a valuable service for fans at the ballpark, encouraging parents not to be discouraged to come out to the ballpark with kids to care for, and exposes parents to the products of a team partner, Pampers. Countless Reds fans will see and use Pampers products and will be very happy about being able to do so while at the stadium. Great activation all around. A data capture piece, Pampers coupons/offers, location-based activations/beacons and customer/fan awareness may come next here. Kudos to the team behind the 2016 Olympic Games in Rio as they took a potentially embarrassing scenario, not having enough lodging for Olympic athletes, into a perfect partnership with Airbnb. Patrticularly for the older and the international Olympic viewers that may not have a clue what Airbnb is, let alone what they do, this activation will deliver a number of ways. Not only will countless viewers be exposed to the Airbnb brand, but will come away with no doubt about the valuable service they provide. A next phase could include a special offer for Olympic viewers, with an explicit CTA. Great stuff all around here. UPS continuously creates effective sports sponsorship activations and this year’s Final Four was no different with the delivery service activating in a number of ways, including an engaging, multimedia-infused, behind-the-scenes look at its delivery of the Final Four court. 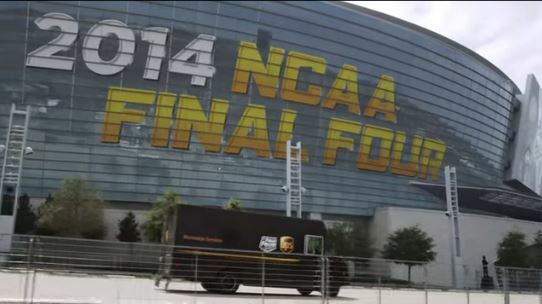 From video time lapses to articles and quotes, this promo showcases how UPS utilizes its infrastructure and services to lend an “Ultimate Assist” to the Final Four production process. Fans come away entertained by the content and with a strong perception and understanding of the UPS brand and service. A potential extension could be comparing delivery of something you would send to that required for the court [and capture data/needs of fans engaged with this content]. An on-point delivery here, though. These handy sponsored mobile device charging stations are becoming more and more popular at airports, as well as sports and entertainment venues. 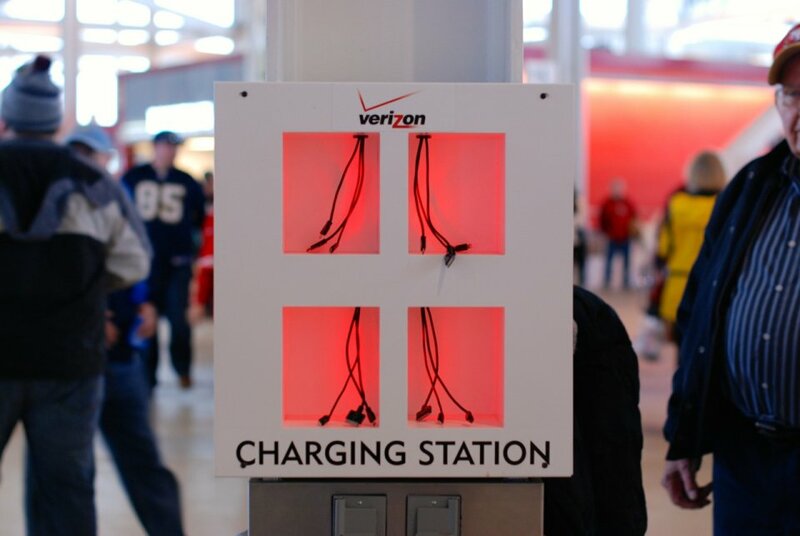 So it was no surprise that the new home of the San Francisco 49ers, Levi’s Stadium, caters to its perpetually connected, tech-savvy fans with charging stations all around the venue, sponsored by Verizon. Fans can get some quick juice for their mobile devices, while Verizon exposes their brand to fans they want to reach — those for whom their mobile devices are indispensable. A good extension could be a contest to enter to win a device, for Verizon to grab data, and/or a few of their products on site for some quick web needs, while also showcasing their product. Overall, a service fans can appreciate that is a value-add from a relevant brand tie-in. The industry is evolving and there are countless more examples, among those lacking, that are effective sports sponsorship activations. These four are just a snapshot meant to hammer home that some of the most effective activations benefit all — the fans through a value-add service or experience, the team for taking on a sponsor, and the partner for getting fans directly exposed to their product/service and brand. If an activation isn’t furthering a business’s objectives or leaves fans clueless as to what a partner actually does, it may be time to go back to the drawing board. When it all works like it should, everybody wins. That is a paradigm worth pursuing.